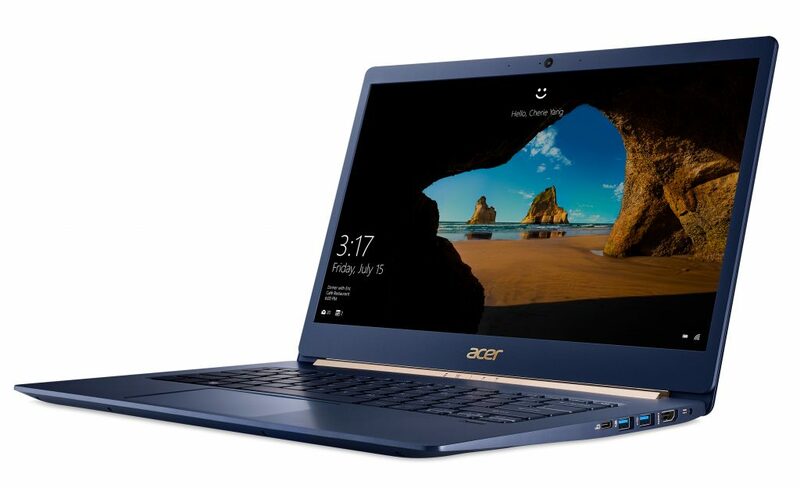 Acer today expanded its popular portfolio of ultraslim convertible and detachable Windows 10 devices with the next generation of Swift, Spin and Switch models. The additions all incorporate the new, exceptionally powerful 8th Generation Intel Core processors, more secure biometric technology supporting Windows Hello, and versatile usability features necessary for immersive entertainment and professional productivity. Along with the performance and mobility of these notebooks, they also sport a new refreshing sense of style and design, providing an ideal balance of form and function. 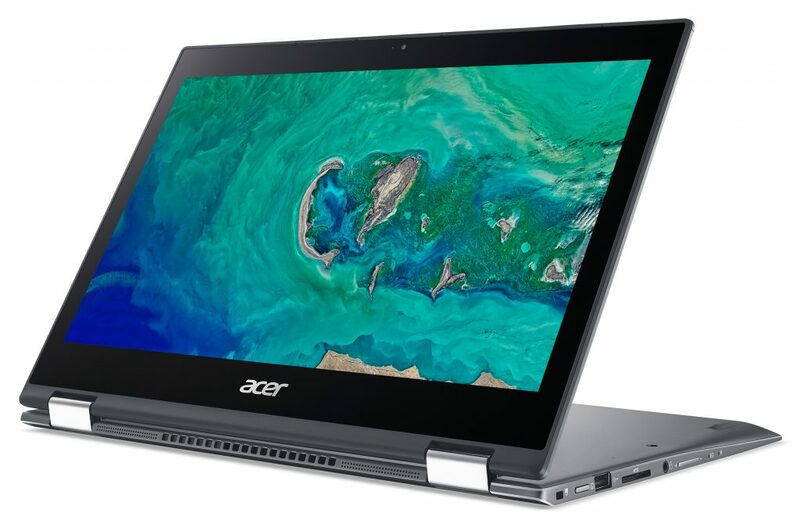 The pioneering Acer Switch 7 Black Edition is the world’s first fanless 2-in-1 notebook equipped with discrete graphics, made possible by Acer’s innovative Dual LiquidLoop fanless cooling technology. With a powerful 8th Generation Intel Core i7 processor and NVIDIA GeForce MX150 graphics, it is an ideal companion for intensive tasks, creative production, and content streaming. Designed for the mobility minded, the new Switch 7 Black Edition is incredibly versatile, weighing less than 1.15 kg (2.5 lbs.) with the keyboard detached. The Switch 7 Black Edition’s slender and lightweight design features a sturdy brushed-aluminum body that offers a robust feel and beautiful tactile touch. 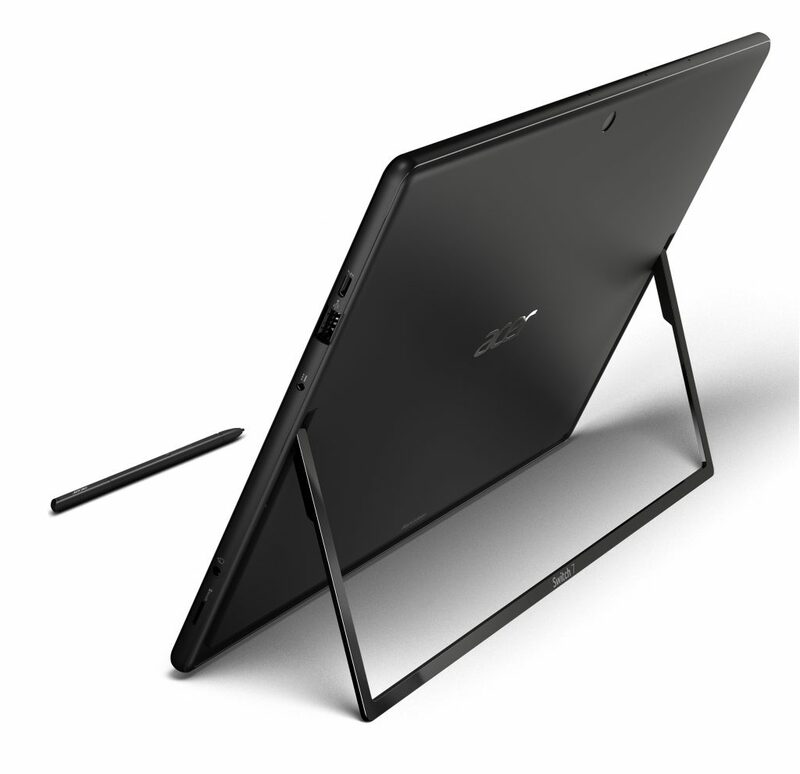 The Switch 7 Black Edition is Acer’s first to feature Acer AutoStand, a patented kickstand that can be auto-deployed and auto-retracted, providing single-handed operation as simple as opening and adjusting the display on a clamshell notebook. With a large 13.5-inch IPS2 display with 2256 x 1504 resolution, the Switch 7 Black Edition offers a crisp, vibrant visual experience from wide viewing angles. The latest reincarnation of the Switch has an embedded stylus powered by Wacom EMR technology that features 4096 levels of pressure sensitivity and pen tilt support to control the angle, width or shading of the stroke. This stylus is now battery-free and cased in the sleek outer shell designed to provide users with a more authentic writing and sketching experience when using Windows Ink. Supporting Windows Hello, the Swift 7 Black Edition features an optical-based under-glass fingerprint sensor design with POA (Power on Authentication) that allows users to power on the device and login instantly with just one touch. The new Swift 5 is designed for users who want superb portability, solid performance, and a touch of style. The elegant chassis weighs less than 1 kg making it ideal for people always on the go. The Swift 5 is constructed with a sophisticated selection of materials including ultra-light magnesium-lithium alloys for the top and bottom cover, and magnesium-aluminum alloys for extra sturdiness on the palm rest area. Utilizing the power of 8th Generation Intel Core processors, the Swift 5 offers an exceptionally fast and responsive experience with 8-hour battery life. With Windows 10 and 2×2 802.11ac wireless, it allows users to work effectively on the go all day – even at night thanks to the backlit keyboard. The interactive multi-touch Full HD IPS touchscreen and narrow bezel design maximizes the viewing experience. Acer TrueHarmony with Dolby Audio Premium technology provides powerful and clear audio, while Skype for Business certification ensures crisp video conferencing and a great experience with Cortana. Lightweight, portable, and enclosed in a head-turning metal casing, the Spin 5 is the style-conscious professional’s go-to device for all types of work and fun. The device’s versatile, convertible form factor allows users to interchange seamlessly between laptop, tablet, display and tent modes making the Spin 5 a perfect platform to create and share content. 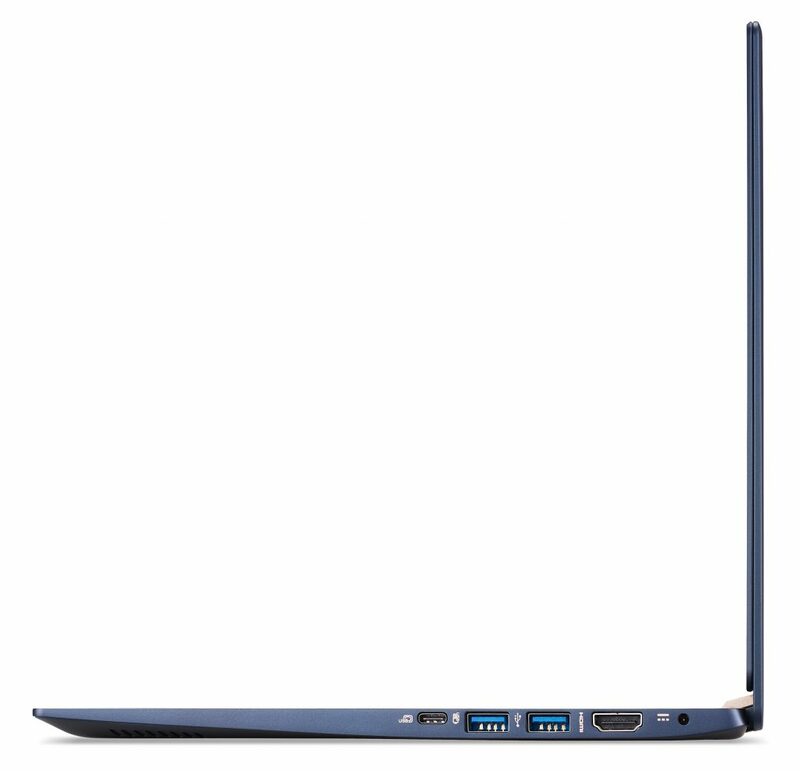 Easy to carry around, the 13-inch model of the Spin 5 weighs in at 1.5 kg and measures in at 15.9 mm thin, while its 15-inch sibling is just over 2 kg in weight and 17.9 mm thin. While this device is portable, it’s engineered to pack a punch with new 8th Generation Intel Core processors, up to 16 GB of DDR4 memory, up to 13 hours of battery life, and a discrete NVIDIA GeForce GTX 1050 graphics option for the 15-inch model. This allows the Spin 5 to handle intensive creative production, such as graphic design and video editing. It also helps to offer premium entertainment with crisp, true-to-life colors that come alive in Full HD. 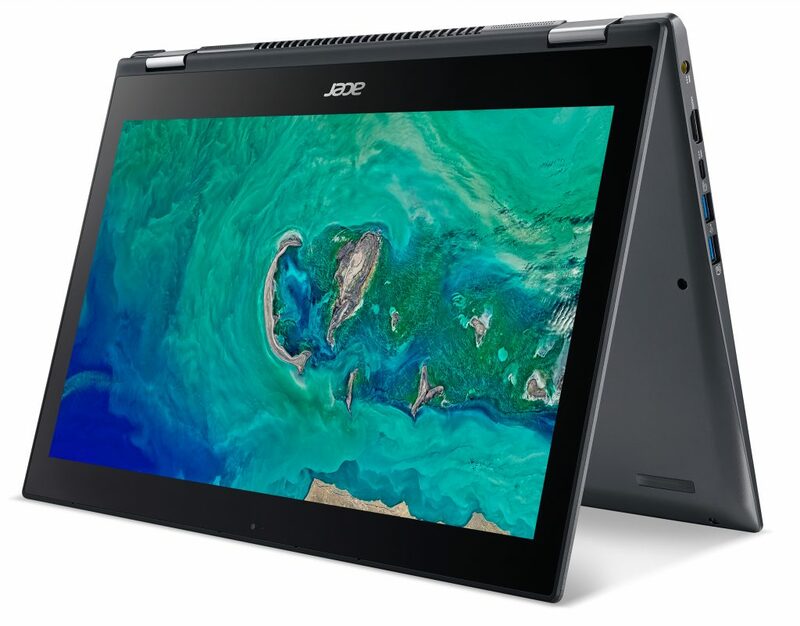 Delivering a great touch experience, the sharp 13- or 15-inch display also works with an optional Acer Active Stylus for incredible precision, offering greater control during work and increased usability through Windows Ink. 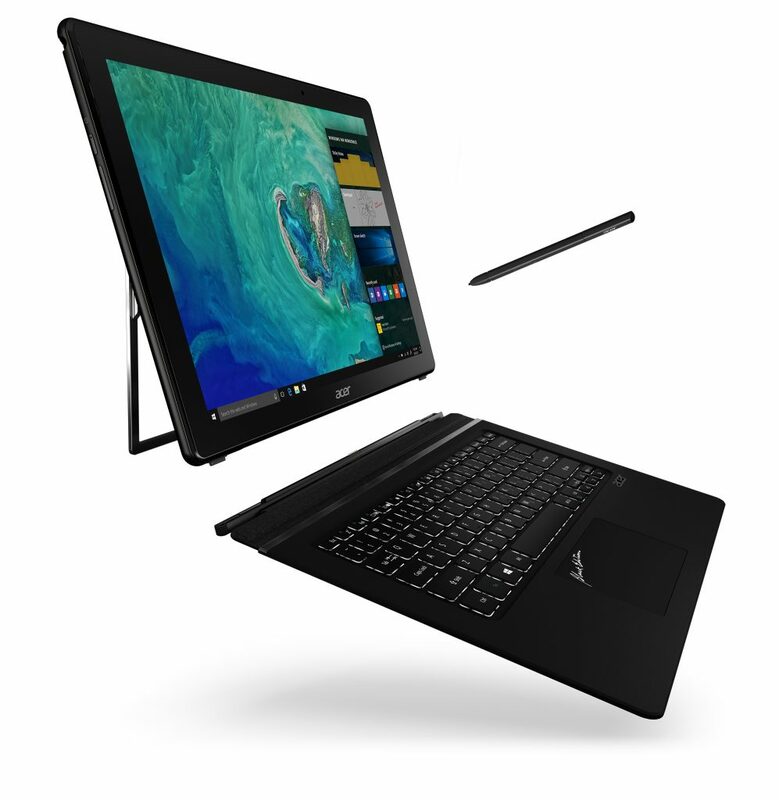 Acer’s omnidirectional ExoAmp Antenna optimizes the Spin 5’s antenna position to ensure a stable wireless signal, regardless of the antenna being located beneath the notebook’s metal cover and the direction the device is facing. With Acer TrueHarmony, Dolby Audio Premium technology and two front-facing speakers cleverly placed so they won’t be blocked in any mode, the Spin 5 delivers a crystal clear and immersive audio experience. Skype for Business-certified, the Spin 5 integrates four array microphones combined with far-field voice-recognition technology that allows users to access Cortana from up to four meters away. This enables them to get quick, hands-free answers, check the weather or traffic, set a reminder, get an overview of their daily schedule, and more—all just by using their voice. 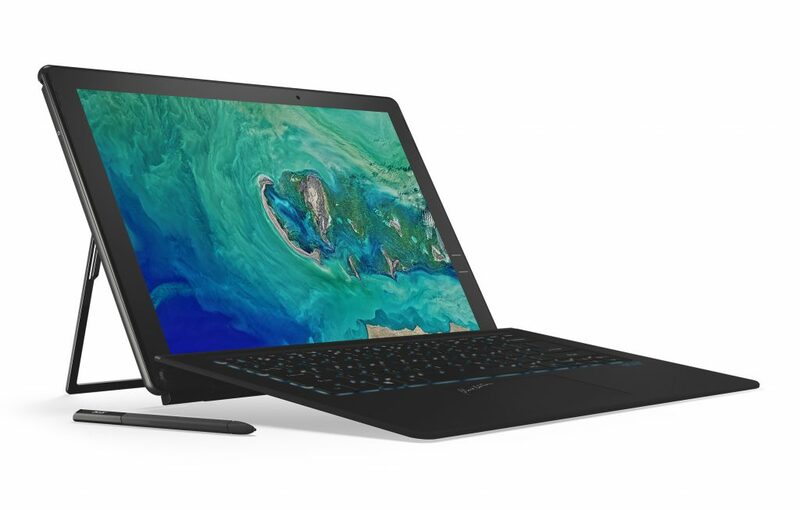 The Acer Switch 7 Black Edition will be available in EMEA in December starting at €1,999. 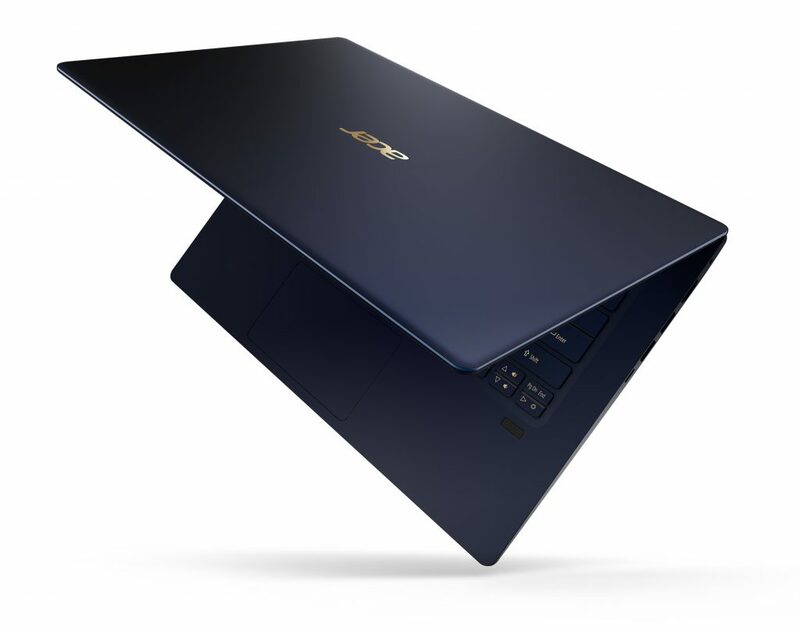 The Acer Swift 5 will be available in EMEA in December starting at €1,099. 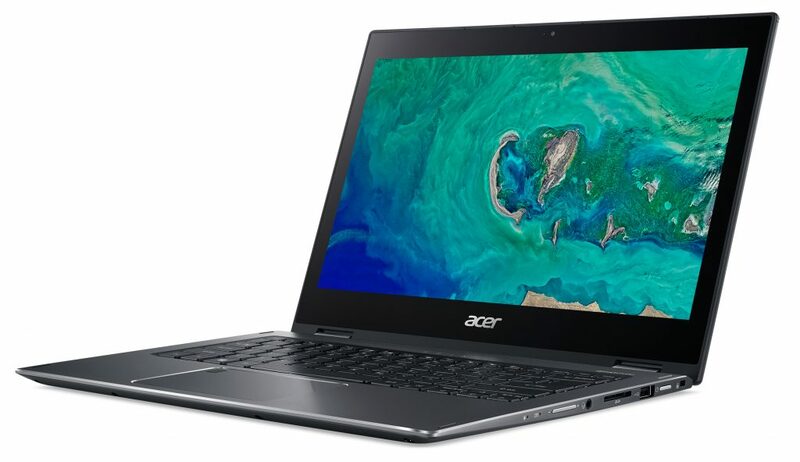 The Acer Spin 5 will be available in EMEA in September with the 13-inch model starting at €899 and the 15-inch model starting at €999.